I’ve just realized this is the first Campbeltown whisky I’ve reviewed here on the blog. Well, glad I’ve corrected that! Glen Scotia is one of three active distilleries in Campbeltown. It’s been around since 1832,and finally making its official debut in the United States. 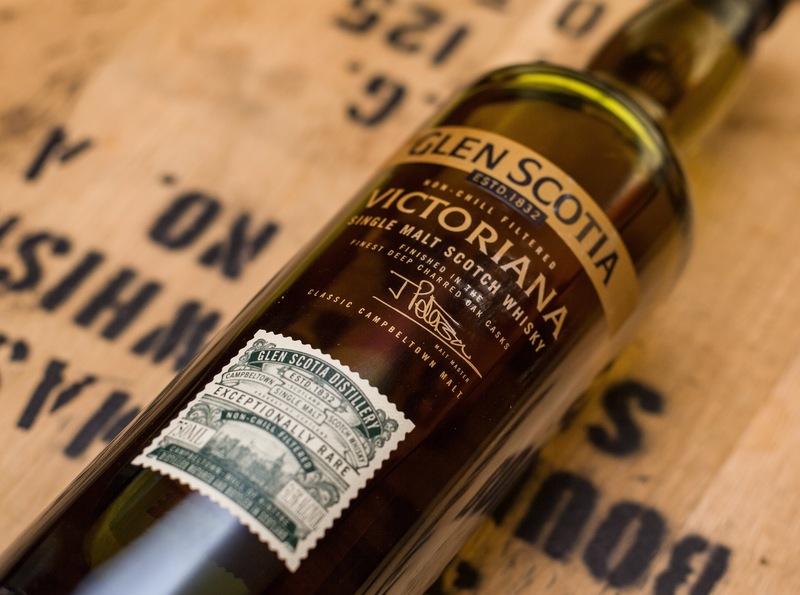 The distillery, owned by the Loch Lomond Group, puts out three regular bottlings: a Double Cask, 15 year old, and the subject of this post: Victoriana. This single malt is supposed to replicate a style of whiskies from the Victorian era, hence the name. It’s non-chill filtered, bottled at a hearty 51.5% abv, and runs $110 a bottle. The whisky is finished in charred oak casks, supposedly giving it a smooth & smoky quality. Thanks to the Loch Lomond Group for the sample. As always, all thoughts and opinions are my own.